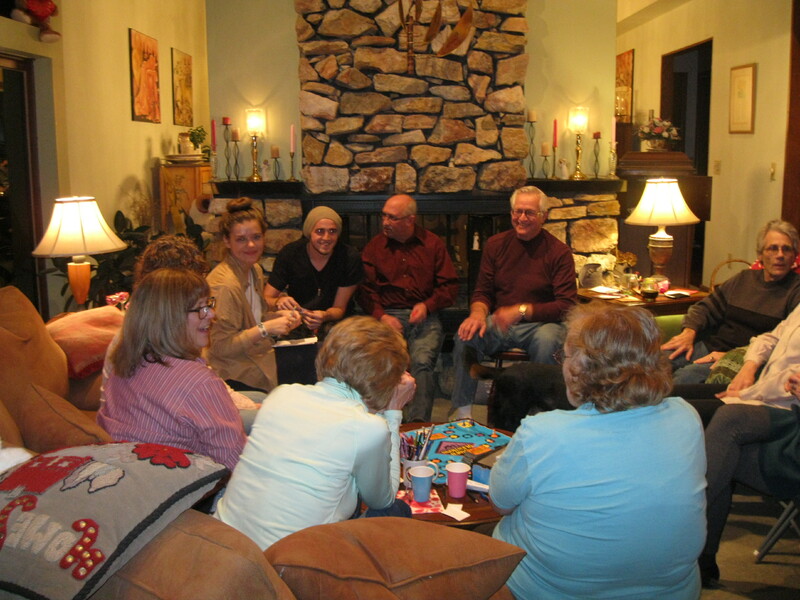 MARK YOUR CALENDARS: Our Fellowship Committee is hosting a Bingo Night on Saturday, March 30, at the church. Get your daubers ready and call Arlene at 330-273-8612 to let her know you plan to attend. 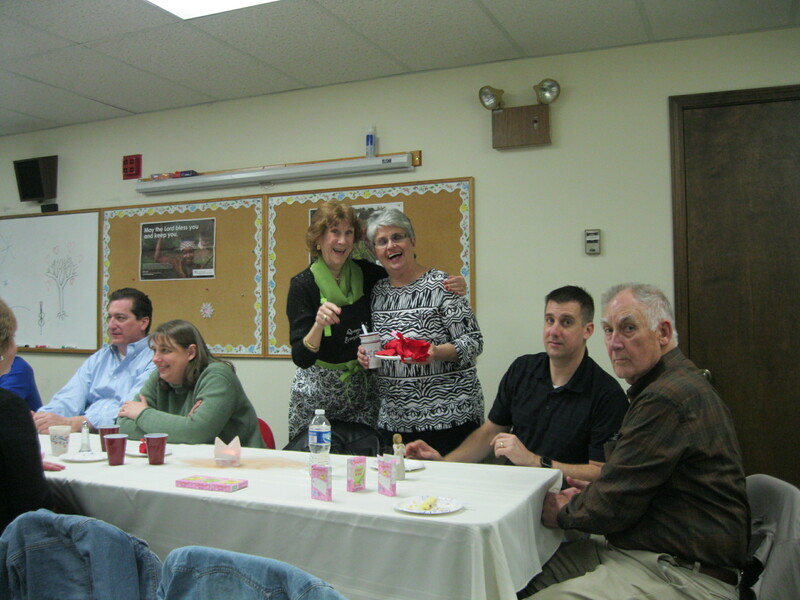 WE WARMED UP WITH A CHILI COOKOFF ON FEBRUARY 17: We had six pots of chili and lots of desserts for the hungry 28 who attended our annual Chili Cook-Off. 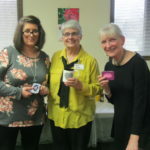 Chili winners were Becky Matyas, Theresa Taylor and Peggy Tampson. 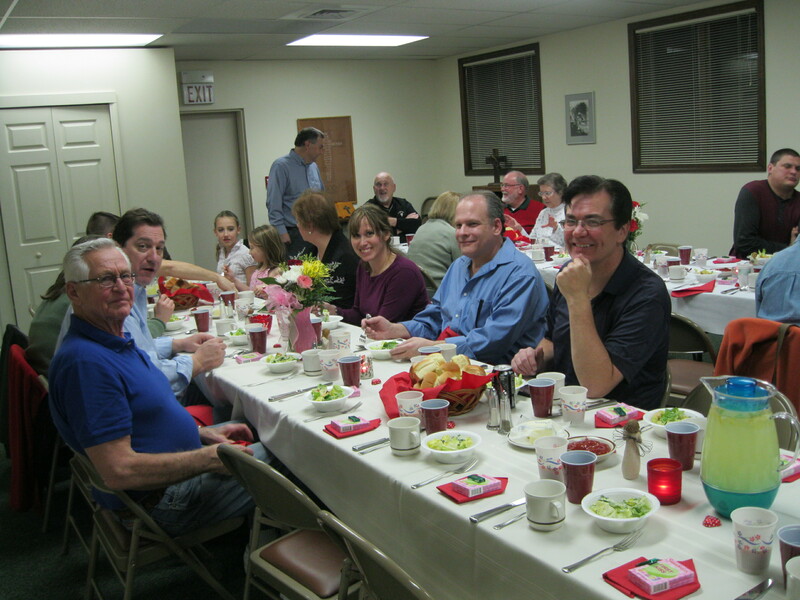 Our Fellowship Committee, dessert bakers and amazing clean-up crew made it a great afternoon. Thanks for all your hard work. LADIES SALAD SUPPER-2018: Our annual get-together was held on Tuesday, August 21. 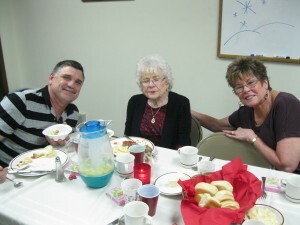 Friends and family joined us and we enjoyed the best of the best in salads and desserts. There is always plenty to share. After devotions, we revealed ourselves to our Secret Sisters and drew for new sisters for the coming year. This is such a fun tradition and a constant battle to keep our secrets for an entire year!!! CELEBRATING MOTHER’S DAY, 2018: All the women in the congregation were given a carnation in honor all mothers, daughters and grandmothers. Jacob and Addy Clark, with big smiles, delivered the flowers. 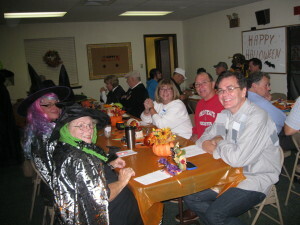 CHILI COOKOFF: Attendance took a hit due to illness, but 16 hearty souls enjoyed chili and lots of great desserts. Theresa Taylor received the highest cash votes for #1 chili. Sue Steinman came in a close second. Keeping it in the family, Sue’s son-in-law’s chili was #3. Chili “cash” votes totaled $65. The amazing desserts, including Mary Ann Vithous’ coconut cake, were sold for a total of $43. 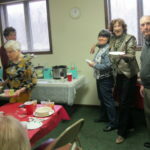 We were privileged to enjoy the cake at Fellowship on Sunday. 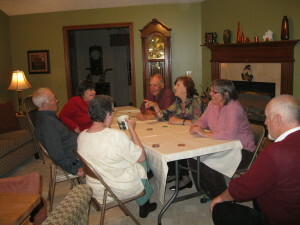 Many thanks to our Fellowship Committee for another fun Bunco Night. More than twenty attended and there were prizes all around: Most wins was shared by Donna Meinke and Therese Andjeski; Vicki Johnson and Becky Matyas tied with most Buncos; the Traveling Bag went to Craig Oldfield; Debbie Shafer finished with the Wipeout Bag; Kathy Forster took home the Bunco Bag; and the prize for the Most Losses was shared by Liisa Woo and Judy Schuster. Of course, there were great snacks and wonderful desserts!! DINNER OUT: Fifteen of us enjoyed a night of Irish dining on Saturday, March 18, at the Hooley House Pub and Grille in Fairlawn/Copley. In addition, the guys were also able to enjoy the views of the ongoing March Madness basketball games. We were seated in the very special “Pope’s” room for dinner with lots of spaghetti, chicken parmesan and fettucine alfredo served family style. The décor is always amazing and the service comes with lots of smiles. We thank Bob Moorhead and Susan Thompson for organizing this evening out. 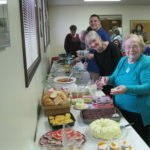 Our Fellowship Committee really outdid themselves with an Italian buffet at church in February. We enjoyed spaghetti, stuffed shells, salad and many delicious desserts. In addition, our own professional photographer, Bob Moorhead took photos of each of us. On January 15, fifteen of us (and Mr. Potato Chip Bag – inside joke) enjoyed a fairly raucous evening of Bunco with several profiting a little and a lot. 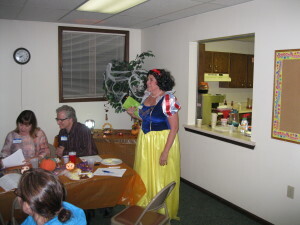 Many thanks to our Fellowship Committee for planning this fun evening. SUNDAY, JULY 17, 2016: OUTDOOR WORSHIP AND POTLUCK PICNIC. We enjoyed a great picnic on July 17, even though the weather did not cooperate. 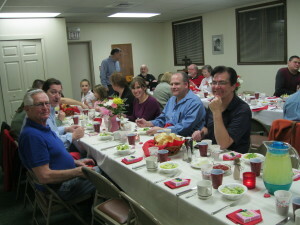 We worshipped inside but moved out under the portico for a great potluck lunch. As always, the food was amazing and the Fellowship Committee excelled at putting the event together. We celebrated another amazing Easter with song, prayer, butterflies and pancakes. It was a joyous conclusion of the season of Lent. 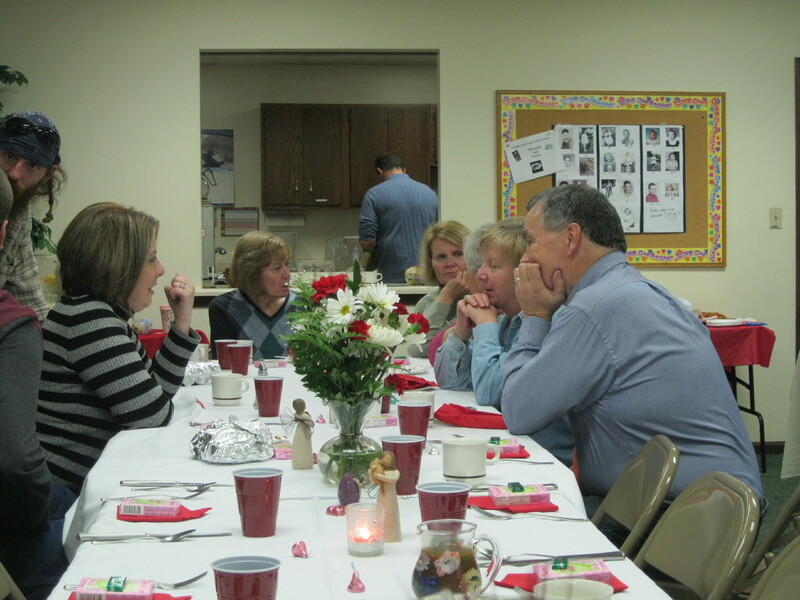 We owe great thanks to our Worship and Fellowship Committees for their many hours of planning. 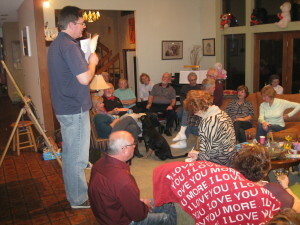 Our Lent experience was enhanced by our gatherings each Wednesday, feeding our bodies and then feeding our souls. 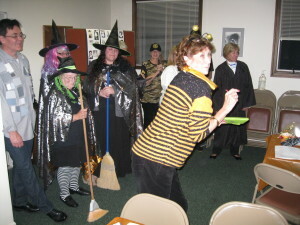 Thanks to our great soup makers: Mady Bauer, Sue Steinman, Millie Thompson, Susan Surducian, Liisa Woo and Becky Matyas. And great appreciation goes to our Worship Committee for the inspiring services that concluded with prayers and candles. We gathered at church for a meatloaf dinner with all the trimmings prepared by Jim and Tony Kava on Saturday , February 19. We had a great turnout with lots of extras added to the menu: Caesar salad, scalloped potatoes, green beans and lots of desserts. 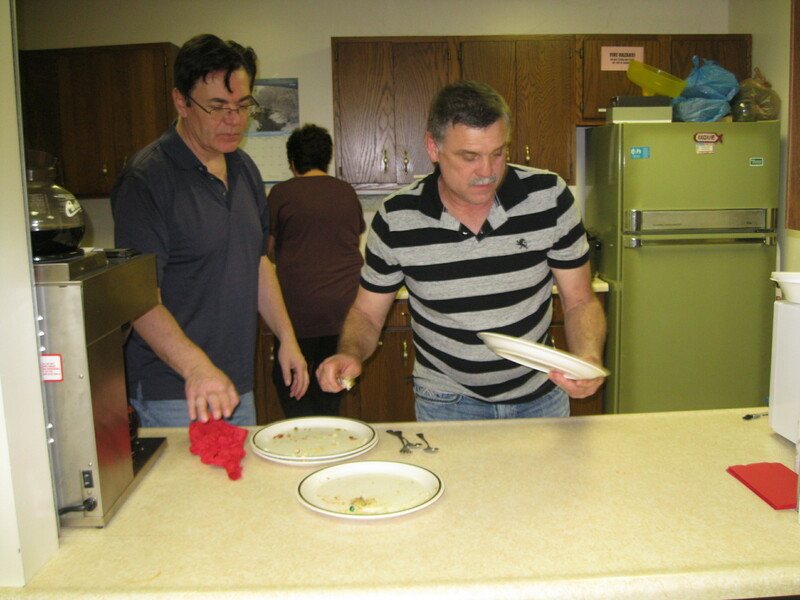 And their dinner included cleanup! AMAZING! 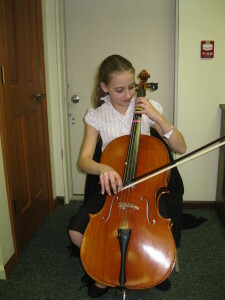 Entertainment was provided by Sarah Riley who provided dinner music on her cello. We also had a raffle and a greatly contested dessert auction with proceeds going to our Fellowship Fund. Many thanks to the Kavas and to our great Fellowship Committee for another great evening. Our Fellowship Committee really hit it out of the park with their great Halloween dinner. 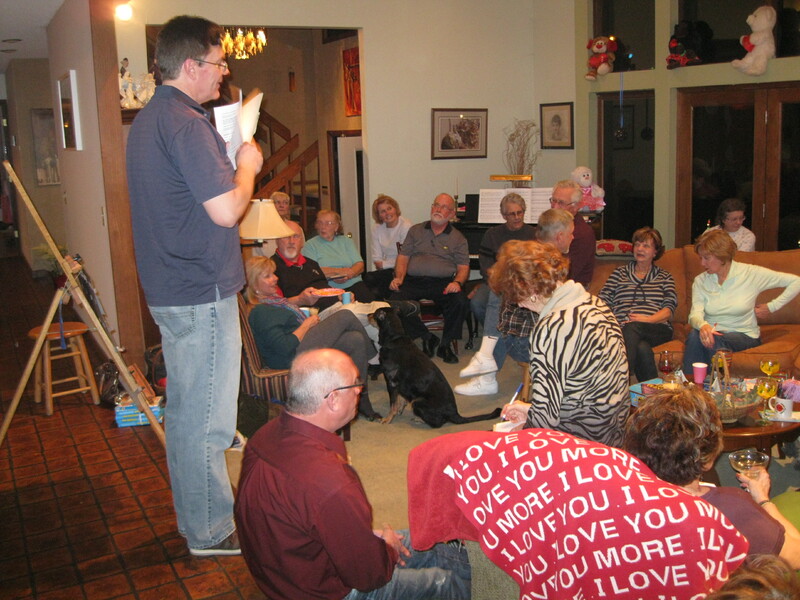 Though 28 of us were challenged at times to find a way to eat baked beans with only a stick of celery, it was a really fun evening. 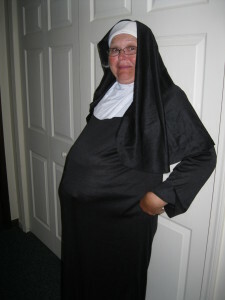 The costumes were wonderful! 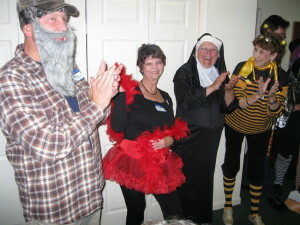 Congratulations to the winners: Prettiest, Kathy Forster as Betty Boop; Most Unusual, Marsha Oldfield as Smarty Pants; Scariest, Connie Riley as a Bumble Bee; and Best, Bob Moorhead as Fifty Shades of Gray. Many thanks to Bob Moorhead for his “Then and Now Photo Contest” and great Jeopardy game with challenging categories such as “Big Bang Theory” and “All About Bob.” Thanks to Mady Bauer for providing the raffle basket of goodies won by Marsha Oldfield. 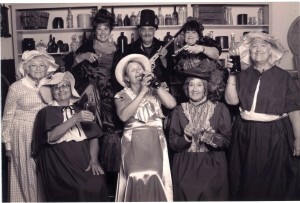 And most of all, thanks to Sue Steinman, Arlene Kava, Judy Schuster and Connie Riley for all their hard work. Since the ladies donated much of the dinner, they were able to give $200 to our parking lot fund! FIrst we had to put ourselves into the time period of the creation of the Erie Canal, where workers were paid 30 cents a day and if they didn’t own a shovel, they dug the canal with their hands. Our “disreputable” group includes, from left, first row, Arlene Kava, Becky Matyas, Liisa Woo, Donna Meinke and Judy Schuster. 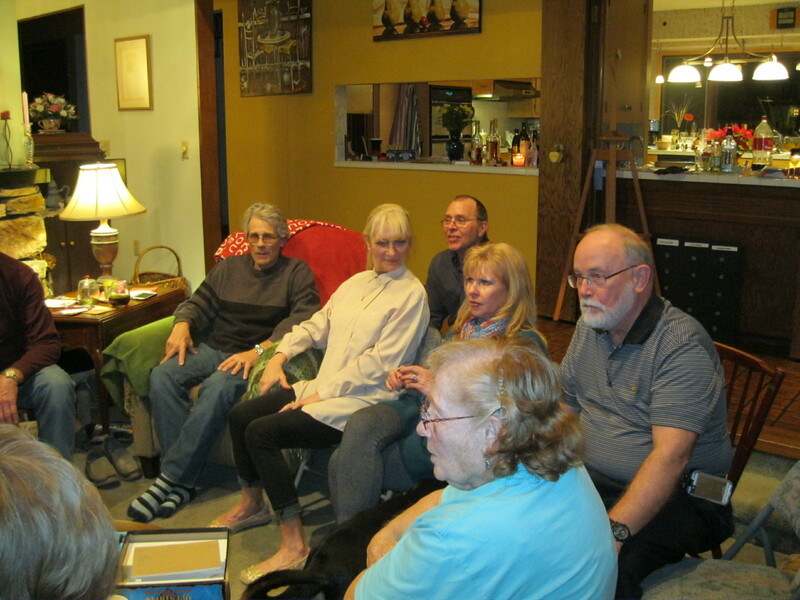 Back row, Sue Steinman, Gary and Vicky Johnson, Also above is Gary Johnson, fitting well into the time period of the Erie Canal. And now on to the boat ride! 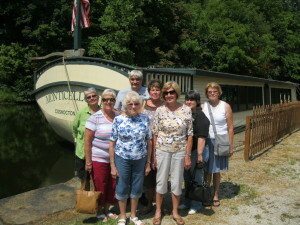 We enjoyed a beautiful summer day trip on the Monticello III canal boat. It was such a smooth, quiet ride, unlike most boat rides today. 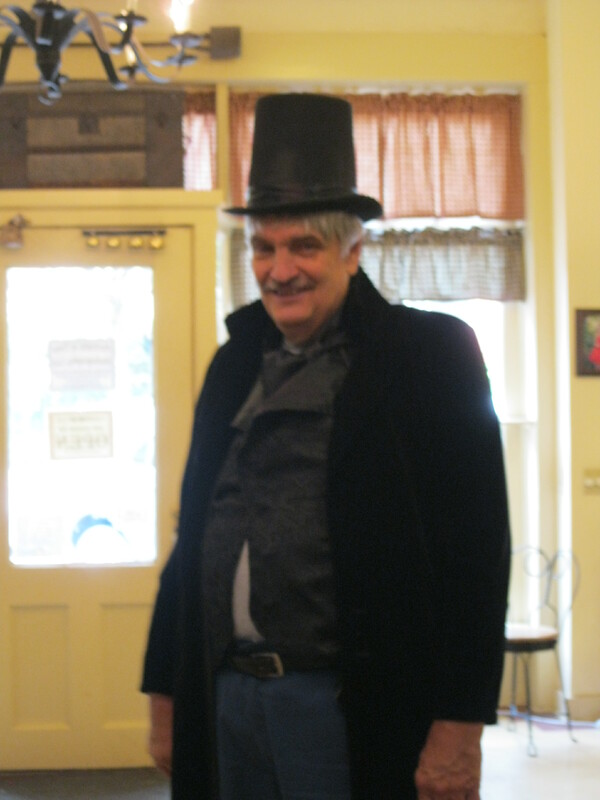 In the 1800’s people took extended trips on canal boats, which had restrooms and cooking areas. All this changed with the advent of the Iron Horse. 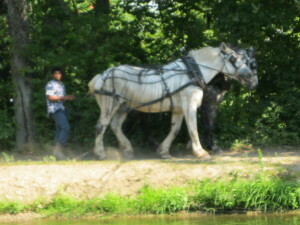 These two beautiful horses, Rock and Bill, pulled us on our 45 minute along the canal. They make 4 or 5 trips a day with a 15-minute break every hour. We were entertained on board by the Canal Boat Captain as he explained life on the canals in the 1800s. Many thanks to our hosts and hostesses for a wonderful dinner and evening. 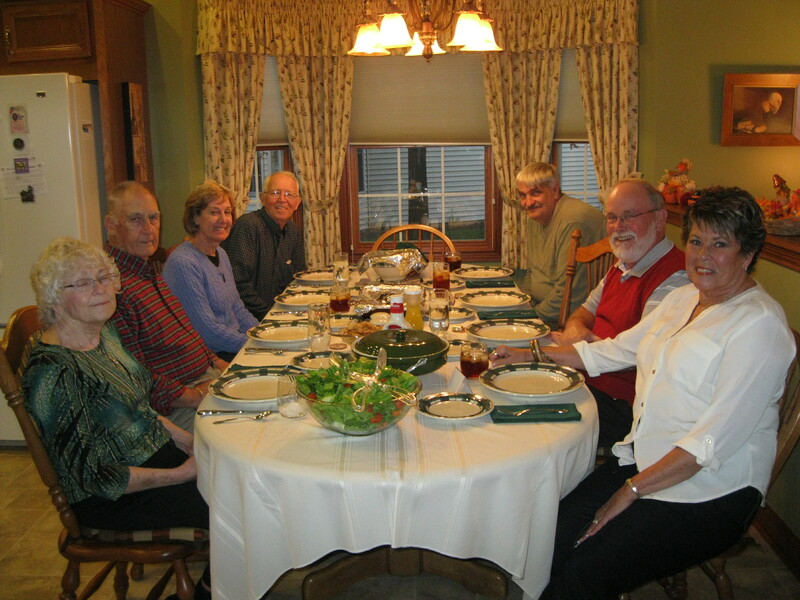 We visited the homes of Connie and Haywood Riley for appetizers, Arlene Kava for the main course and Sue and Keith Steinman for dessert. It was a fun evening full of fellowship and great food. We all appreciated the hard work of our Fellowship Committee.